The Plague God Grandfather Nurgle sends forth his hideous and terrifying legions to ravage the mortal realms and bring his foul contagions to every corner of the universe. 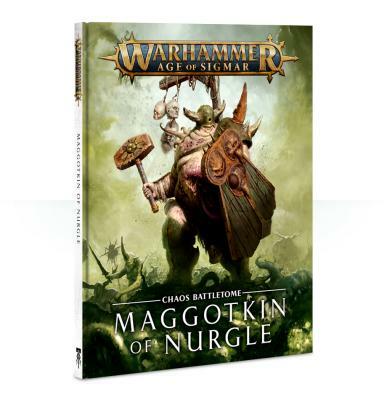 Featuring both the daemons of nurgles realm and the mortal followers who wreak destruction in his name, this battletome allows you to utilise all of Nurgles power and fury on the battlefield. -Detailed descriptions of each of Nurgles pestilent servants -A history of Nurgles triumphs and greatest battles -Background and lore of the plague god, his dark history and the darker future he wishes to build.